The starships you see here are made to scale and represent actual size and proportions of ships in Starfleet service today except Matt Deckers which is just leaving Spacedock. Here is a rare image of the United Federation's most powerful spacefleet returning to Starbase 234, where Captain Picard later launches his armada from on Stardate 45236.4 to blockade Romulan forces supplying the Duras Family during the Klingon Civil War. Can you name the ships? Picard, Kirk, Janeway, Sulu, Matt Decker, Beverly and Worf are in command. The spacedock was first seen in 2270 orbiting earth. In the early days of Star Trek, Starbases were fewer in number, often leaving a lone starship in a fix to make repairs. Luckily ships like Kirks U.S.S. Enterprise 1701 had "miracle workers" like Scotty who always saved the ship. God bless him. Starbase operations are straight forward and range from administration duties (which can be shared with non federation races) to secure starship berthing, by mooring tractor beams which lock ships into position. Gangways are secured to airlocks using correct pressurization and stabilization procedures which allow trusting souls to be easily ferried from starship to starbase. Transporters and turbo lifts cars are standard. 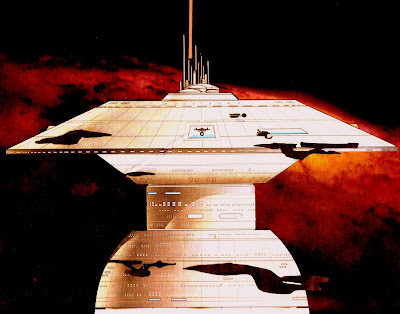 Starbases serve a medley of purposes for non-stop space exploration, operation and security. Romulans are tricky. I think any alien with starship cloaking technology installed on his ship has to be classified as a spy up to no good. 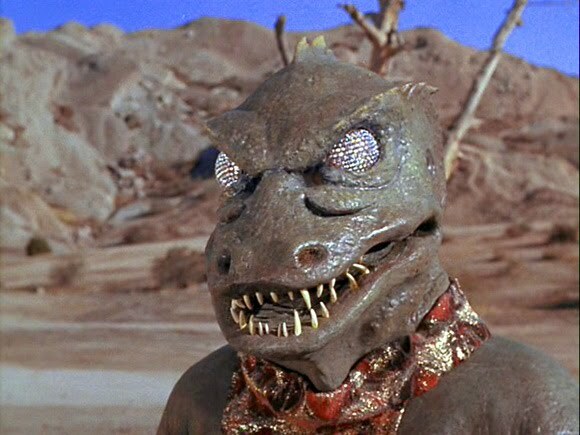 Look what happened to Kirk when he exposed General Chang's cloaked Bird of Prey and Chang was a Klingon!! A Klingons Honor means more to him than his very life! I guess Chang had better sense, just kidding.... So why doesn't anyone call the cloaking device spy technology? It is undeniably sneaky. 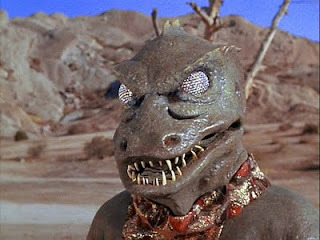 Here's some Star Trek (TOS) humour from the "Galileo Seven" episode thats funny. 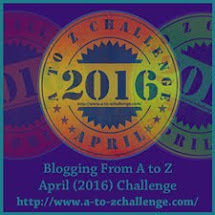 Image Copyright Belongs to Paramount Pictures or CBS Paramount Television. Of course we believe you, Mr Spock. Captain Kirk doesn't believe in the no win scenario, so he rigged the Kobayashi Maru Test and beat the Klingons!! Woo Hoo. Go Kirk, Go Kirk!! You're the Best. Now trekker hopes depend on a Star Wars fan making Star Trek history!!! and without our superhero William Shatner. Geeze.... Hmmmm. I wonder, will J.J. Abrams pass his Kobayashi Maru test? Only Trekkie's can decide. Take my sidebar Kirk Test now! 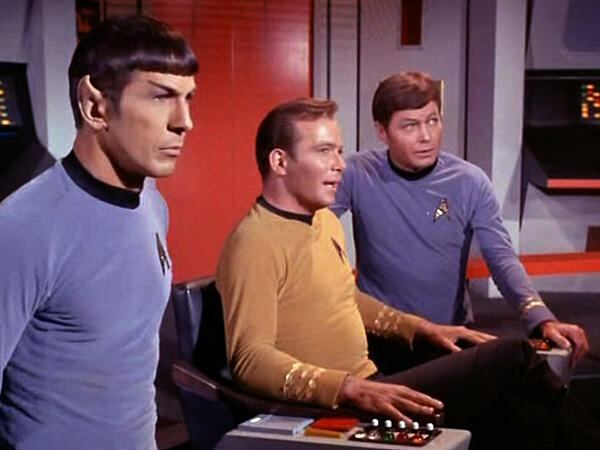 Sci fi viewers know only too well that Spock, McCoy and Kirk were special. Bill Shatner told Trek fans at Comic Con and Shatnervision that he's not in the latest Star Trek movie. Sob, sniff. The Sci Fi universe is awash with traumatized Trekkies everywhere, even I'm all watery eyed too. At least Bill put us out of our misery. Spocks warmblooded, illogical and emotional old friend Jim Kirk, has been snuffed out of Star Trek XI! (MORE LIKE NEVER WRITTEN IN) It gets better. J.J. Abrams explains his reasons in a vulchy statement at trekmovie on William Shatner and the new Kirk casting. J.J. actually confesses his dark side sins in his statement so I'm thinking - hey heres a dude that worshipped Darth Vader. - O.K. but what about Kirk 's U.S.S. Enterprise and its captain? Shatner fans across the globe know Bill is a funny guy who has delighted Star Trek millions with his wit, charm and intelligence, all things that make great science fiction. You'll be glad to know Bill may be doing a series of "Negotiator" commercials which are entertaining. Here is Bill's comic role in his Priceline "The Negotiator" commercial. 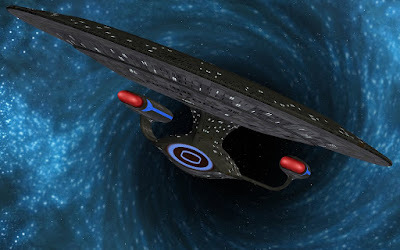 Its bound to cheer up Star Trek fans still reeling from Mr J.J. Abrams Vulchy logic and it proves the old maestro still has the movie magic provided he doesn't get too bogged down with the Vulcan shockwaves rattling Trekkies across the globe right now. I think J.J. Abrams has been hanging out with those green blooded, inhuman, pointy eared Vulchies too much!! 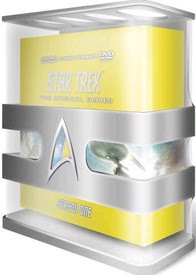 TOS Star Trek Season One in HD-DVDs. Star Trek: The Original Series in Season 1 (Remastered HD-DVD Box Set) is out on a 10-disc HD DVD/DVD combo-disc set. That means the original U.S.S. Enterprise NCC-1701 voyages are in stores with high definition DVDs waiting for you! Star Trek fans can now own the original star trek adventure in high definition format and purchase it at a logical price. Season One is ready to order. Its true Star Trek fans can now own this! Update: Star Trek's Original Season One HD DVD boxset has come down considerably in price since I wrote about this star trek boxset in 2007. $219.99 dollars seemed quite logical considering Paramount/CBS put alot of work into remastering the original negatives, loading it with bonus features. But now the Original Star Trek adventure in High Definition format has got even more! I know what your thinking, whats this really going to cost? Are you ready? $69.99 bucks. I kid you not. Wasn't it worth waiting 3 years for? Star Trek's Original Season One HD DVD boxset is on sale at Star Trek.com for only $69.99 so go on spoil yourself! Captain James T. Kirk's crew aboard the starship USS Enterprise NCC-1701 have been cleaned up and remastered from the original negatives and updated with new digital effects. The Original Season 1 Star Trek HD dvds have special 3D interactive features so you can explore the U.S.S. Enterprise NCC-1701 inside and out. Star Trek fans will also have access to Starfleet's Data Files! which provides intelligence about the world of Star Trek! I wonder do we get to see any "Top Secret Stuff" Nevertheless, The Original Series Boxset is loaded with new features so keep a lookout for the Gorn blinking in "Arena" and other cool enhancements. 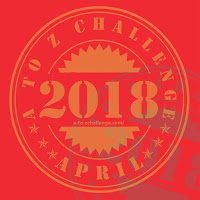 •On-screen graphical interface allows viewers to access Picture in Picture video commentaries, comparisons of re-mastered vs. original effects, encyclopedic information (science, life forms, technology), episode trivia and more. 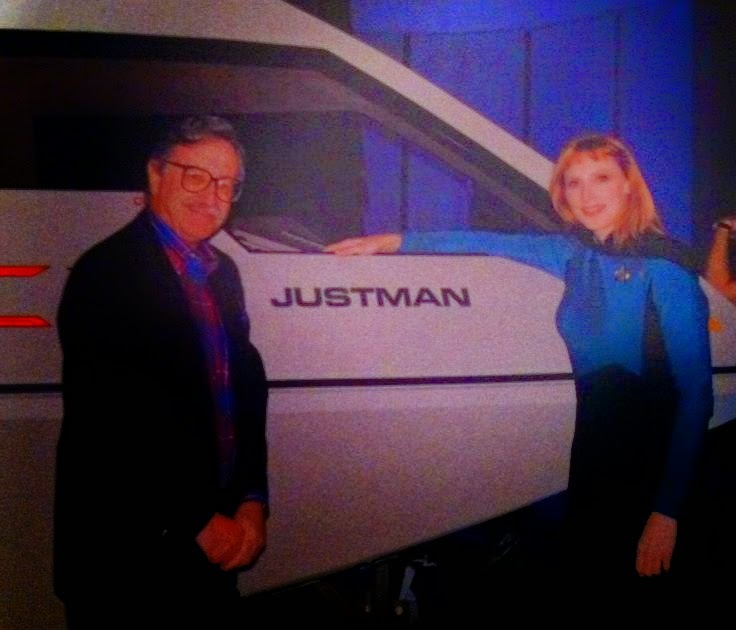 Star Trek director, producer and production manager Robert Justman was overjoyed with Star Trek's Season One remastered HD DVDs originally packaged and released as "The Final Frontier." Robert Justman and John D.F. Black helped Gene Roddenberry thrash out the teaser with ideas for Space the final frontier. Written by Gene on August 10, 1966 and spoken by the Captain James T. Kirk commanding the best Federation starship in the galaxy. "When I saw the dvds with the original film Mal converted to the way it should have been, I can't find words to voice my joy at what I see. Its just wonderful. Its the way the show should have looked when it first went out" Robert H. Justman, Associate Producer of Star Trek.